Making a sandwich is simple. You take two pieces of bread, throw some meat in the middle, add some veggies, and get ready to watch Storage Wars. But a truly great sandwich? That's an art form, achieving the perfect balance of flavors and textures that you didn't really have time to admire after devouring it in 37 seconds. 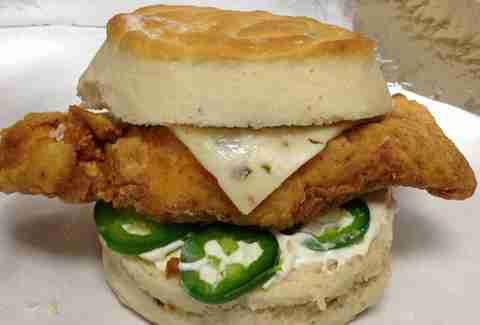 These eight Dallas spots reach the highest levels of sandwich achievement. Just a turkey sandwich, you say? 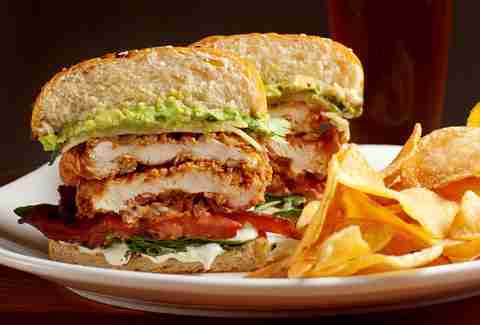 Well, Oak's added a lunch menu and, rest assured, this is no ordinary turkey sandwich. 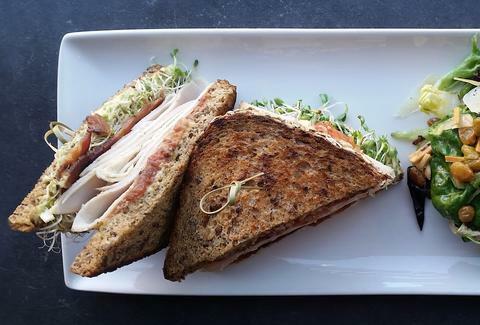 Checking in at $12 (and worth more than every penny), their turkey is house-smoked and served on whole grain bread (also made in-house, of course) with avocado, bacon, sprouts, L&T. It's fancied-up just enough, gloriously simple, and yet undeniably delicious. It's also served with a side of baby greens topped with shaved manchego, almonds, caper, and golden raisin vinaigrette that will win over even the most staunchly salad-averse. They sell donuts here (obviously), but don't sleep on their biscuit game, and more importantly, their biscuit sandwich game. Most biscuits crumble and fall apart before the first bite -- these don’t. The texture is perfection and holds your sandwich in place for the minute or so you’ll need it to before you devour it. Order the Kaye, which is fresh, 24-hour marinated, cooked-to-order chicken, topped with fresh jalapeño and whipped to perfection cream cheese. If you’re still hungry... donuts! This shop is a Dallas gem and has been around for over forty years. There’s reason for that... let’s just say it’s in the details. Details like using Farmers Market-fresh produce, healthy ingredients, the best pickles in town (not kidding), freshly squeezed limeade & lemonade, a pet-friendly patio, and even the convenience of a drive-thru. And if you’re a first-timer, you’ll get a free cup of fruit. 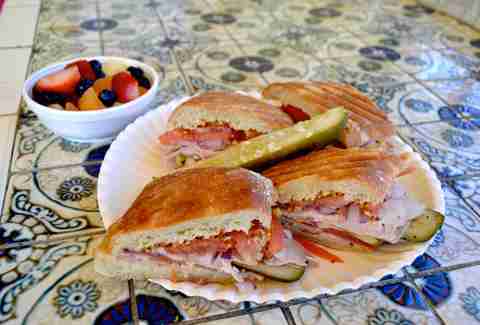 Order the #28 -- a Cuban panini (grilled) with roasted pork, baked ham, turkey, cappacoli, Swiss cheese, spices, sliced Dill pickles, and grain Dijon mustard. You won’t be disappointed. Aside from the fact that on your next visit you won’t get a free cup of fruit. 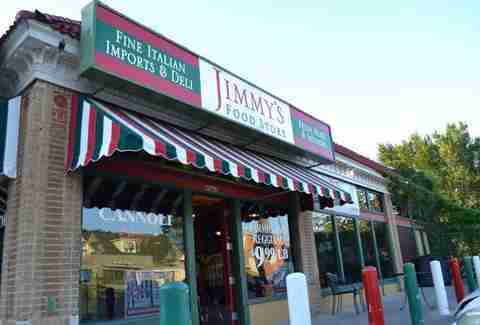 This is the type of place where Henry Hill from Goodfellas would’ve eaten his sandwiches. Actually, it's the type of place anyone would eat sandwiches because they're amazing. No need to get creative, just order the Italian Sub with mortadella, capicola, sopressata, pepperoni, and provolone. Order directly from the deli in the back. But beware, these butcher paper-wrapped masterpieces are huge, so come hungry -- and if Joe Pesci is hanging around looking angry, tread lightly. This place just gets it. Damn good sandwiches reasonably priced, and they serve craft beer and wine. What more could you ask for? Well, you should ask for one of those sandwiches, specifically the Fried Chicken + Jack, gloriously combining Southern fried chicken, pepper Jack, greens, cured bacon, avocado mash, and jalapeño-cream sauce in a ridiculous symphony of flavor that pairs beautifully with a cold beer. Which, again, they totally have. This is the most fun you can have eating a sandwich without taking your pants off. Wait. What? Umm, nevermind. 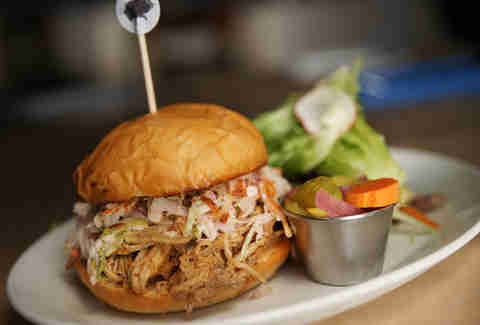 Anyway, Smoke's BBQ sandwich is a mess to eat but worth the trouble with its title-earning, impossibly juicy pork (NC-style, we will begrudgingly admit they have a way with swine), topped with red wine vinegar and mustard & blue cheese coleslaw. No, Uncle Uber's is not your cheesy Uncle’s self-appointed nickname. It is, however, a killer sandwich shop in Deep Ellum. Order the shaved ribeye steak sandwich (or sammich, as they like to say) with black Angus beef, topped with grilled red onions, blue cheese crumbles, romaine, tomato, and roasted garlic mayo on a warm baguette. 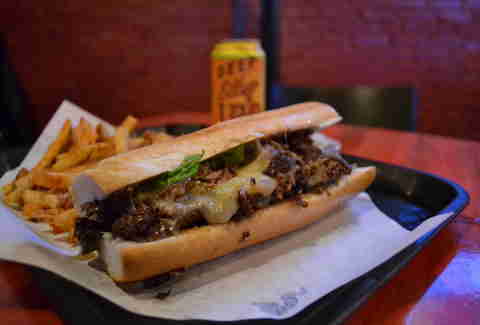 It has some elements of a Philly cheesesteak, but with some delicious upgrades and no Eagles fans. They also serve some fine local brews, so enjoy those and call an actual Uber. 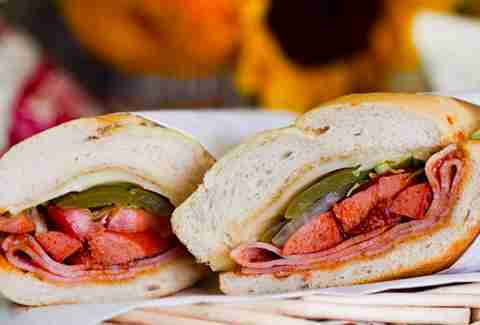 This is the place to go when you’re looking for a little Latin flair in your sandwich. No, a burrito isn't a sandwich, that would be anarchy! Get yourself the classic Mexican torta with chorizo, ham, sausage, lettuce, peppers, and tomatoes on a huge, fluffy roll served with homemade potatoes. Then get another one to eat later, because you clearly haven't had enough pork intake. Pro tip: don’t forget to checkout the coffee bar before you leave.